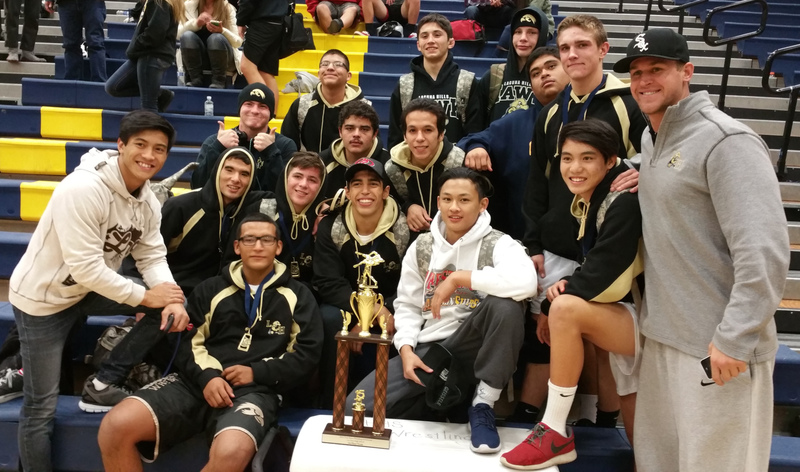 Laguna Hills won the Los Osos Tournament with 233 team points this past weekend! 1st place champions were Anthony Le (126), Josh Fuentes (132), Philip Zamora (145), and James Oliveros (160). Other LHHS medalists were Steven Kroesen (3rd, 113), Nick Volpe (2nd, 132), Titus Azad (2nd, 138), Matt DeLaRiva (2nd, 152), Cole Ramsey (7th, 171), and Jaxon Cook (3rd, 182).